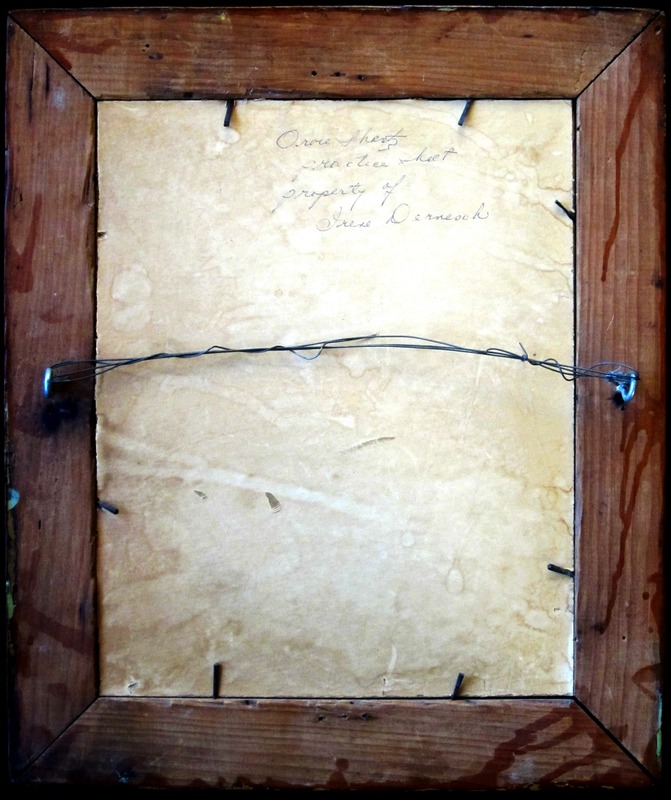 When an Old Order Mennonite couple marries, they are given a large family Bible containing empty genealogical forms in which they are supposed to enter family history records. 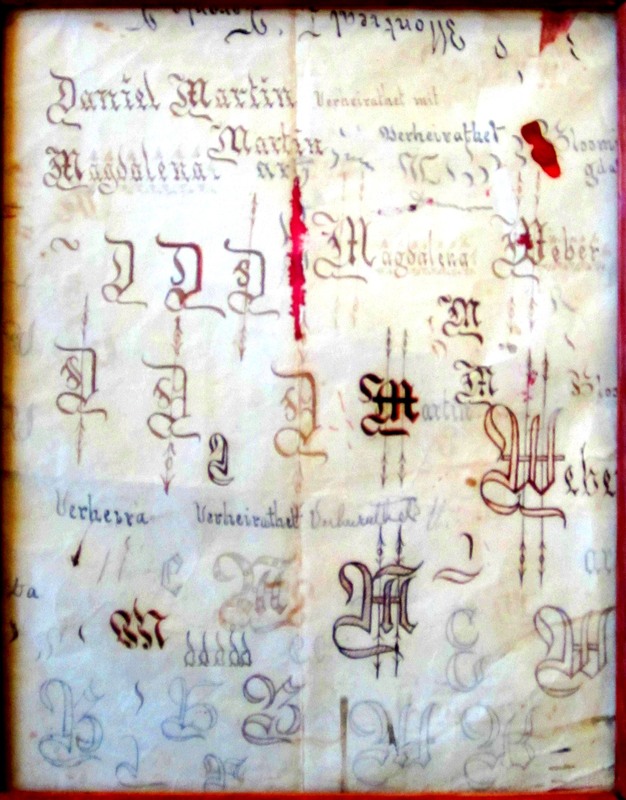 Fraktur artist Isaac Z. Hunsicker (1803-1870) filled in virtually all these forms in Waterloo County during his lifetime. After Hunsicker's death in 1870 his students carried on this tradition. A unique characteristic of Hunsicker's calligraphic style was the use of a reverse-italic fraktur font. 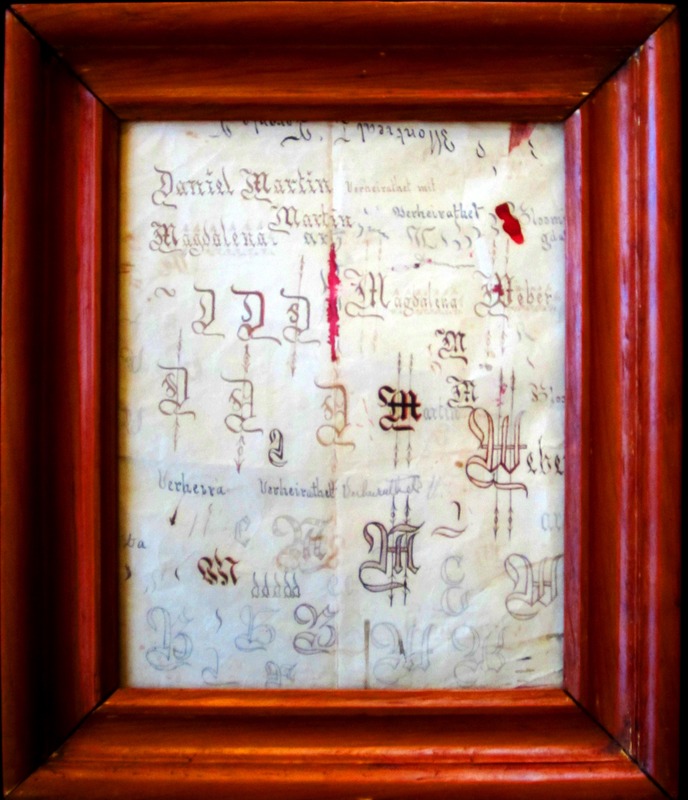 Offered for sale here is a calligraphic practice sheet (Prob-Schrift) made by one of Hunsicker's students, Orvie Shantz, incorporating Hunsicker's reverse-italic font. It is offered as-found in its original frame. 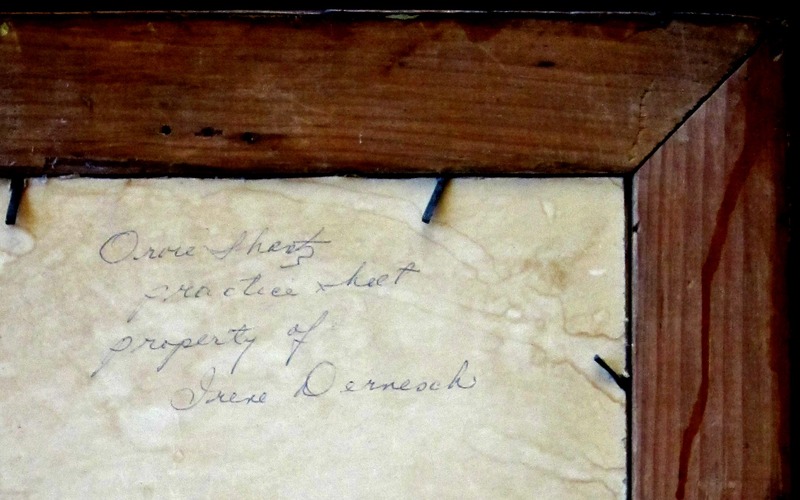 On the back is written the following information: "Orvie Shantz practice sheet property of Irene Dernesch." Dernesch was an antique dealer / collector who lived in St. Jacobs, Ontario. Measures approximately 11 1/4 X 13 1/2 framed.